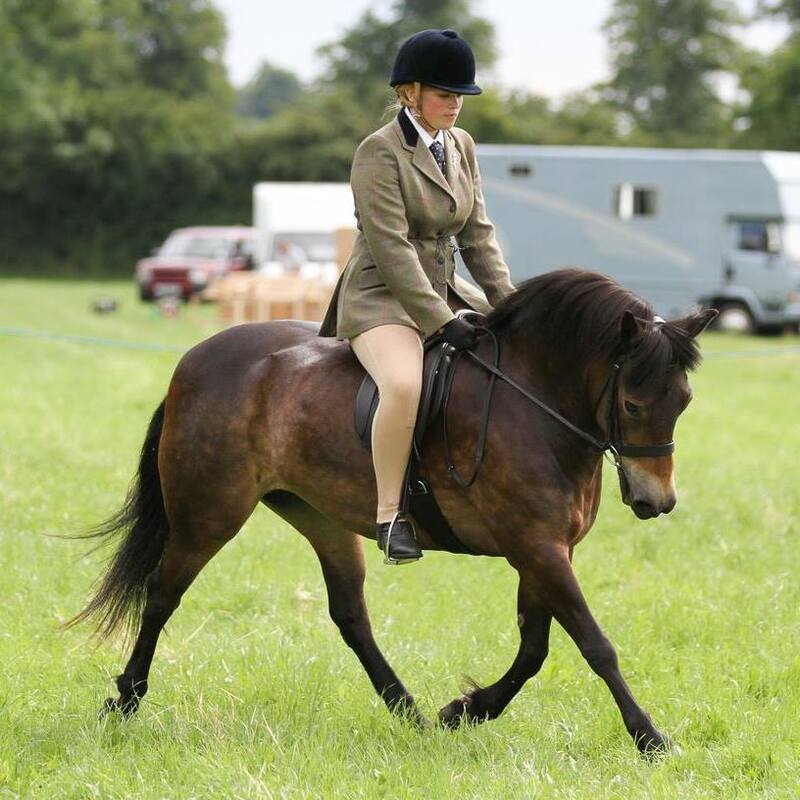 Ellie is a 13-year-old Exmoor pony who lives in the United Kingdom. Ellie had a history of re-occurring lameness in the stifle. The stifle is the largest, most complex joint in the horse and anatomically this joint is the equivalent to the knee joint in humans. It has similar bones, ligaments and soft tissues, including a patella, menisci and cruciate ligaments. The location and anatomical structure of this joint makes it the weakest joint of the horse. Injury to the stifle joint is common and the cause difficult to diagnose due to the complexity of the bone and soft tissue structures. Ellie’s owner called their veterinarian, Dr. Tim Watson from Waterlane Equine Veterinary Services to come out to their farm to try to help find out what was causing Ellie’s lameness. He performed a lameness exam on the pony, who presented with a left hind limb lameness (4/10). Using diagnostic analgesia, the lameness was localized to the stifle. Dr. Watson took radiographs of Ellie’s left stifle, which revealed no abnormalities. Next, he performed an ultrasound, which revealed the presence of a soft tissue injury to the cruciate ligament. Dr. Watson initially treated Ellie with intra-articular corticosteroid injections and stall rest. However, the treatment was unsuccessful---Ellie was still lame. Being the Lead Lipogems Equine Veterinarian, Dr. Watson was aware of an alternative form of treatment that he had previous success with in his patients---by using Lipogems Equine®. 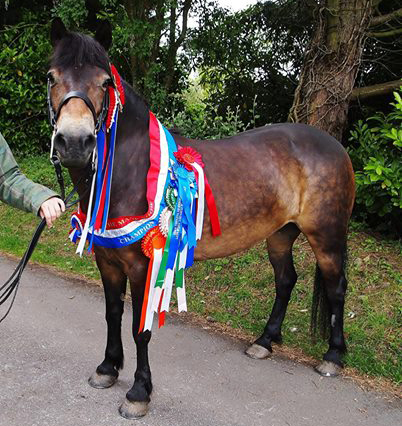 He recommended Lipogems Equine® treatment for Ellie, and her owner agreed for him to use it on Ellie. On 12 July 2016, Dr. Watson performed the Lipogems Equine® procedure on Ellie. First, he sedated the pony, then selected a site near her tail head to use for extracting a small portion (approximately 5 cm x 5 cm) of adipose tissue (fat cells). Next, he prepared the selected site area for extraction. After administering a local anaesthetic, the adipose tissue was extracted through a liposuction technique using a special syringe. Next, Dr. Watson micro-fragmented and washed the harvested adipose tissue (lipoaspirate) in saline solution in the Lipogems Equine® device. A total of 5 ml of lipoaspirate was injected into Ellie’s femorotibial (lateral and medial) and femoropateallar joints. 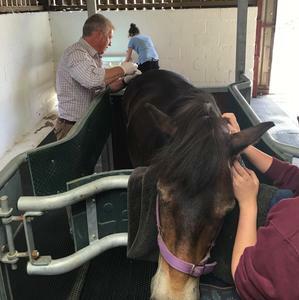 Following the treatment, Ellie was on stall (box) rest for five weeks (which is the typical length of stall (box) rest needed for all Lipogems Equine® procedures). Upon completion of Ellie’s stall rest period, Dr. Watson came back out to the farm to perform a recheck on Ellie. He performed a lameness exam and found that there was no lameness detected when Ellie was trotted in straight line and on lunge on right rein, however, there was a slight residual lameness on the left rein. Dr. Watson recommended that Ellie begin rehabilitation, consisting of controlled walk out sessions for the next four weeks, at which time he’d come back out to recheck her progress. Upon Ellie’s 9 week progress exam, Dr. Watson performed another lameness exam, and found that Ellie was completely sound with no evidence of lameness, and could resume her normal work. Less than a year later Ellie won Overall Supreme Champion at her first show ring outing and has since remained sound. The simplest description of this biological regenerative therapy for the non-scientific mind is that the process of the treatment replicates what would naturally happen in an injury situation. Adipose tissue (fat) is collected using liposuction from around the tail-head. The tissue is micro-fragmented in the Lipogems device, triggering the horses own damage response mechanism, washed in saline solution and collected through a filter in a syringe, which is then injected into the injury site. Injuries and conditions that can be treated in horses includes tendons, ligaments, stifles, sacroiliac, granulated wounds and degenerative joint disease. For more in-depth scientific explanations visit the Lipogems Equine website. Waterlane Equine Veterinary Services was founded by Dr. Tim Watson, BVM&S, PhD, MRCVS in 2013. They offer 24/7 ambulatory services to their clients, as well as the latest mobile diagnostic equipment. Their three veterinarian team provides veterinary services throughout the Gloucestershire and North Wiltshire regions in the United Kingdom. The practice specializes in lameness, poor performance, a full-range of stud worm (including AI), and specialist medicine cases.